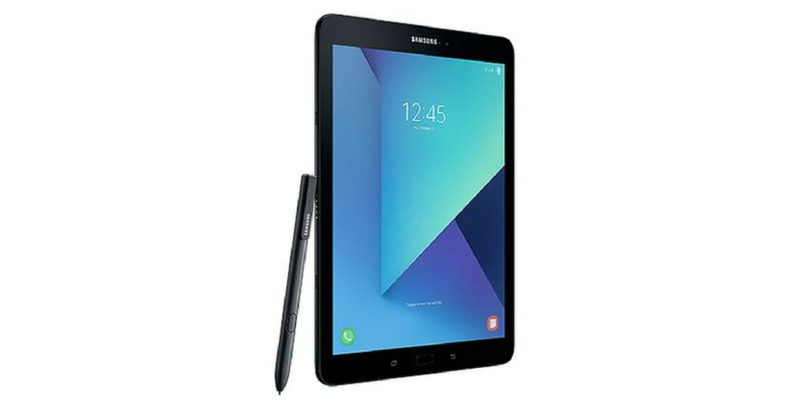 Samsung has launched its next generation tablet device Samsung Galaxy Tab S3 in India. This is the high-end tablet and is priced at Rs. 47990. It will be available across all retail stores and online stores starting June 20. It has lots of interesting features to make it a must-have device for business users. It has Samsung Flow that uses biometric authentication to log-in. It can also wirelessly tether compatible devices to transfer documents from a mobile device to a tablet. It comes with S Pen that offers writing experience with a smaller 0.7mm tip and increased pressure sensitivity. You can use S pen for take notes, Annotation or professional-level drawing. Samsung Galaxy Tab S3 comes with 9.7-inch QXGA Super AMOLED display. It has 2.15GHz quad-core Snapdragon 820 64-bit Quad-Core processor with 4GB of RAM and Adreno 530 GPU. It offers 32GB of storage with option to expand storage up to 256GB. It comes with Android 7.0 Nougat out of the box. It has 13 megapixels rear camera with LED flash and 5 megapixels front camera. It offers 4G LTE, Bluetooth 4.2, WiFi 802.11 ac (2.4GHz/5GHz) MIMO, Wi-Fi Direct, Bluetooth 4.2, GPS, GLONASS and USB 3.1 Type-C connectivity options. This is the first Samsung tablet to feature a four stereo setup tuned by AKG to provide rich surround sound. It packs a large 6000 mAh battery with support to fast charging. You will get S-Pen within the box, but you will have to buy Book Cover and Keyboard Cover separately for Rs. 2999 and Rs. 8499. Samsung also announced introductory offers to attract consumers.